When requiring comprehensive aluminum restoration, alterations or boat repair, Perth customers need look no further than Wakemaker Marine in Henderson, WA. We provide all manner of boat repairs and modifications to a wide range of marine craft —including small and large private boats right through to charter, tour and commercial fleet vessels. Whether you need structural or cosmetic boat repairs and modifications, you can trust that Wakemaker Marine has the expertise to resolve any issue. If an unfortunate incident occurs and your boat is damaged or equipment is lost, Wakemaker Marine can help take the stress out of the claim process. Our experience and contacts within the industry ensures we can arrange all aspects of repairs, including equipment replacement. We liaise with your insurance company and assessors to ensure that your boat is restored to a high standard and all items and equipment are reinstated with quality products. Aluminium boats are popular for durability and ease of maintenance, however, in the instance that damage arises you can be assured our aluminium fabricators are experienced in their trade – no matter how complex or comprehensive the repair work required. At Wakemaker Marine, we understand how important your boat is to you. Whether you are using it for recreational or commercial pursuits, rest assured we will listen carefully to your requirements to get you back on the water as quickly as possible. Safety and quality workmanship are our primary concern are our top priority so you can be confident that no corners will be cut when repairing your vessel. Our aluminium fabrication specialists are skilled and experienced in repairing a wide range of boat damage. 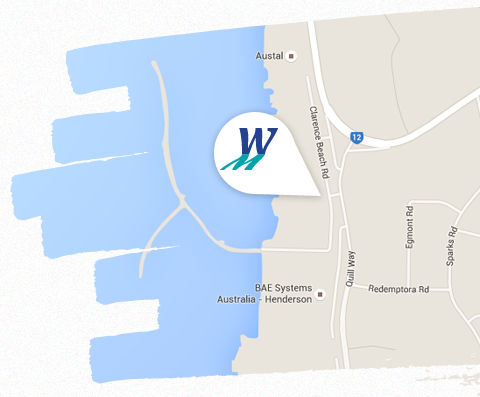 Conveniently located in the Henderson Boat Lifters Compound with access to the necessary equipment and facilities to accommodate commercial customers, along with close proximity to complimentary trade services such as painters, fibreglass and decking. We’ve won several awards for our custom aluminium boat projects, including the Overall Boat of the Year and the Trailerable Boat of the Year. We stand by our guarantee of quality workmanship and friendly customer service. So, when you are searching for a company to trust your boat repairs Perth, make Wakemaker Marine your first call.